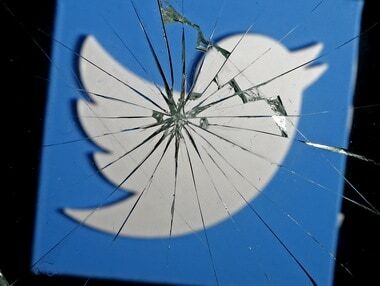 The Twitter app is no longer compatible with the Apple Watch, company to now focus on "media-rich notifications"
As Twitter announced to double its 140-character limit to 280, many Apple Watch users across the world were left disappointed on Thursday when they realised that the app has disappeared. According to a report in TechCrunch, Twitter's iTunes App Store page no longer notes compatibility with the Apple Watch. With the rollout of the Twitter for iOS (version 7.8) iOS app, the Apple Watch app was removed, the report noted. "@Twitter killed Twitter for Apple Watch without saying anything. Why are you so determined to ruin your service for me, @jack?" one Apple Watch user tweeted. A Twitter spokesperson told TechCrunch: "We heard from people that notifications were the most helpful part of the Apple Watch Twitter experience. With this, we are focusing on supporting more robust, media-rich notifications." "We are committed to providing the very best Twitter experience on iPhone, iPad, Apple TV and Apple Watch, and we'll continue to iterate and improve our apps across all platforms." Not just Twitter, Google has also quit Apple Watch platform in the recent past. "Google pulled support for Google Maps on the Apple Watch earlier this year, and retailers including Amazon and eBay did the same," the report said. Meanwhile, Twitter has started testing 280-character tweets, doubling the previous 140-character limit, to help users become more expressive. Currently, the 280-character tweet facility is available to a small group of its 328 million users but it would soon be rolled out globally, Twitter said in a blog post.